This antenna uses the G0KSC OP-DES design on both 40m and 20m to provide full-band coverage on each. Serious low-noise performance for the HF bands too! Those that do their research and want low noise Yagis choose G0KSC designs! Excellent G/T figure antenna array ensuring F3EGA can hear and be heard! With a boom of just 2m and F/B in excess of 20dB including full-band coverage, this is a super-compact Field day antenna! 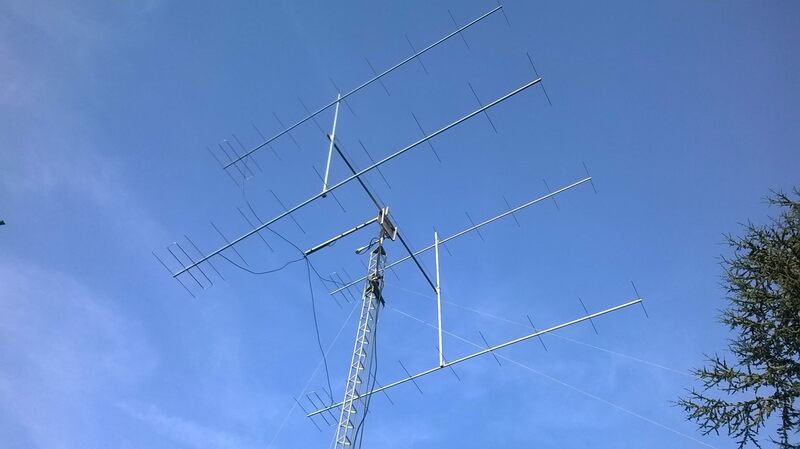 PA2V selected G0KSC LFAs (built by InnovAntennas) when he wanted the very best in EME performance! 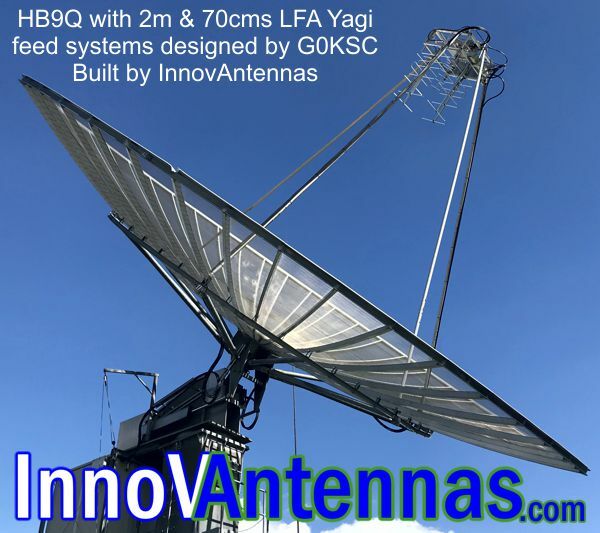 A 4 element 27MHz LFA by InnovAntennas. The LFA can handle 20KW plus and does for many radio stations, commerical and hobby! PLEASE IGNORE THE FALSE STATEMENTS, G0KSC HAS NOT RETIRED! 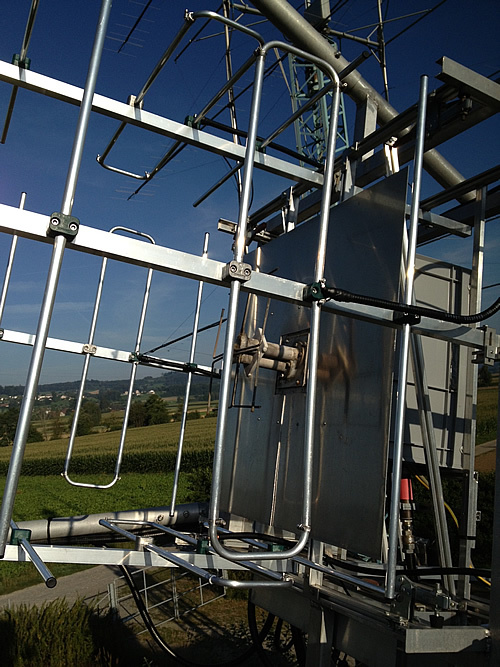 Your EME system does not need to be complicated and you do not have to know the math involved in every aspect of the antenna system to make it work. If you are unsure of what you need to do next or what exactly you require, drop me a line (email) and I will do my best to help you. 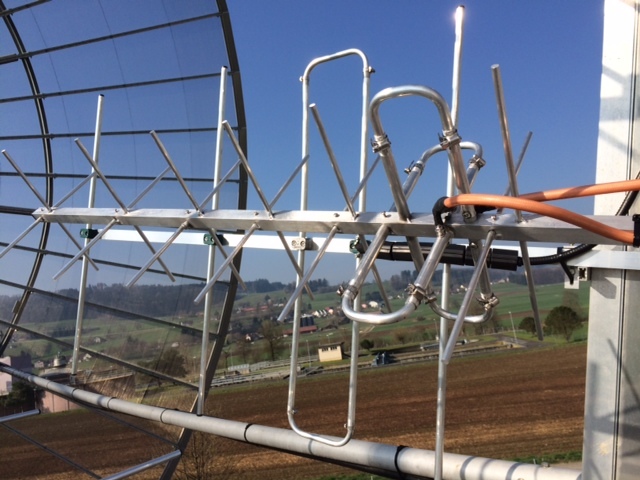 This simple system below consists of 8 x 15el Low Noise LFA Yagis which will give exceptional performance and allow the working of small single antenna stations, via the moon during the right conditions. Simple soultions with the best results! Are you that guy that tells everyone you work the World on a wire and don't need a Yagi? 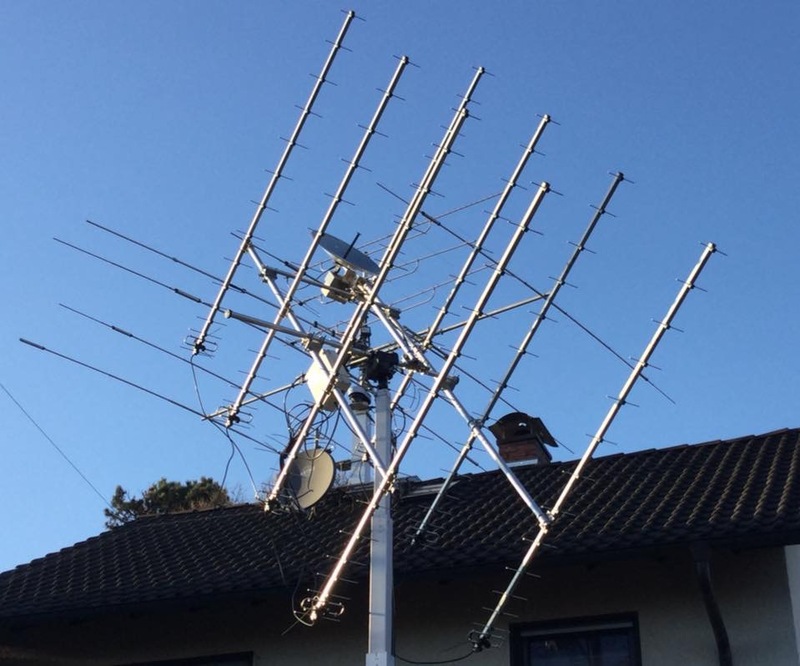 In most cases, it is the Yagi belonging to the guy at the other end of the QSO that is doing all the work, pushing and pulling on your behalf otherwise, that QSO might not happen. I recall many years ago when that realisation set in for me. The first time I installed a Yagi on HF and then for the first time, able to hear and work stations in the USA with wires that I had not heard before. HB9Q has made it possible for many stations with very small Yagis to work EME (Earth Moon Earth). In some cases, a 2 element Yagi has been used and in at least one case, a simple dipole. At HB9Q a 10m dish is in use so the gain and potential of this arrangement is huge. However, the capabilities of this dish were not always as they are these days. Several years ago, Dan the station owner at HB9Q contacted me to explore new options for feeding on 20m and 70cms. Yagis were in use at the feed point, pointing into the dish but unwanted noise and birdies where often present on receive. After much discussion and modelling, we decided on 2 sets of 4 element LFA Yagis for 2m which were horizontally stacked and phased (one set horizontal, one set vertical) and a X-pol 7el (14el total) LFA Yagi for 70cms. All antennas would be rear mounted and the 70cms X-pol rotated 45 degrees in order not to be in the same plane as either set of the 2m antennas to avoid the 'third harmonic issues' that exist between 2m and 70cms. Not aware of the associated issues of third harmonic relationships in Yagis? Contact G0KSC. The result? Birdies gone, unwanted noise reduced and the performance you have seen from HB9Q in the last few years. 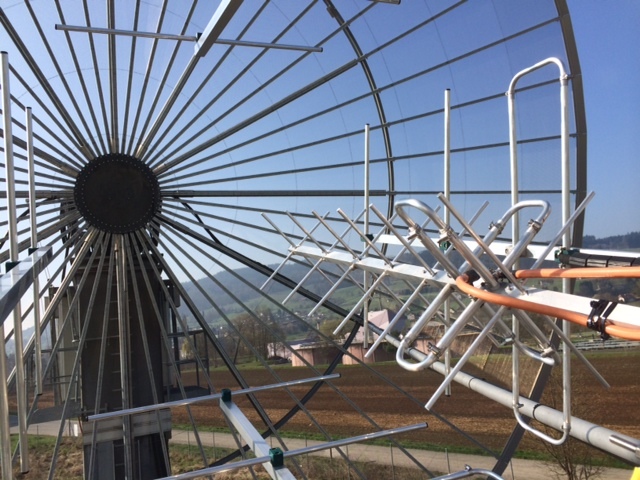 The combination of HIGHLY SUPPRESSED pattern optimisation, the importance of a FULLY CLOSED LOOP driven element within the Yagis and ‘UNDER-STACKING’ to avoid side lobes outside of the dish face are all part of the reason the HB9Q project has been a great success and allowed small station hams to work off of the moon. Both 2m and 70cms LFAs can se seen pointed to the dish in this shot. Note the rotation of the 70cms LFA. Due to the third harmonic relationship between 2m and 70cms, the 2m elements would conduct while 70cms was in use and distort the pattern of the 70cms LFA and reduce performance. Rotating out of the same plane, reduces drastically the chances of this happening. centralising all elements on the 70cms LFA Yagi within and X-pol arrangement is very important. Any offset resulting form an off-set 'insulator-above-boom' setup would cause distortion due to the distance the offset would need to be when translated into wavelength. all elements including the driven loops are centrally mounted and welded to the aluminium 19mm square boom. The drivne loop is wleded directly to the boom opposite the feed point in order that the loop has a DC ground, important in QRO applications. The closed loop arrangement gives a Band Pass Filter (BPF) property to the antenna too. Have a special requirement for your VHF/UHF needs? Let me know and we can work on it together. 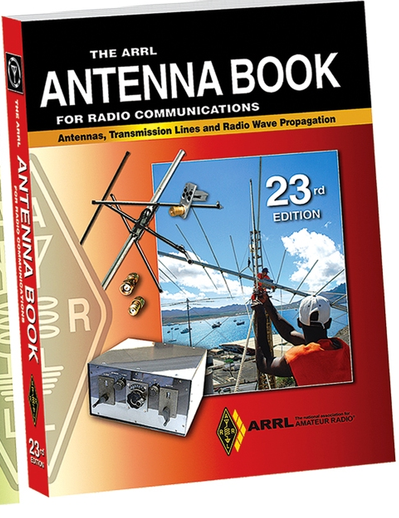 Justin Johnson G0KSC is a contribution author within the pages of the ARRL Antenna Book. Justin is currently re-writing and adding several chapters for the next edition due within 2019.